Hello my lovelies! Hope you're all having a lovely relaxing weekend. I popped to the gym this morning and had a little workout session! I now have aches and pains all over. Sign of a good workout! So now I am in bed with the covers pulled right over me because it's absolutely freezing. Winter has definitely arrived. I can't wait to put up all the Christmas decorations up so that everything looks nice and festive. Can you tell that I am a little bit excited? Anyway, before I get a bit too excited let's do this review! Now I know you would have all heard about this product. 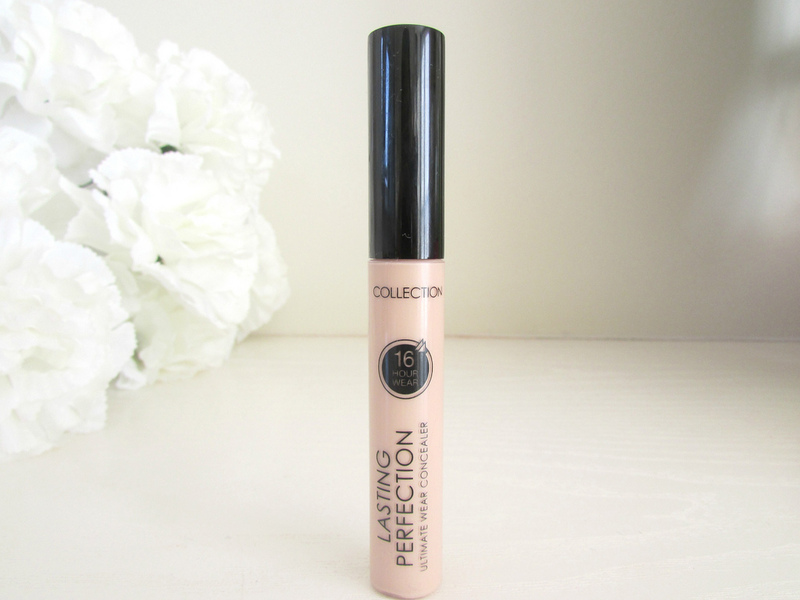 The Collection Lasting Perfection concealer is a product extremely hyped up within the beauty community and I totally agree with the hype surrounding it. I wear the shade 3 which is medium. It is slightly lighter than my skin tone but when it comes to concealers that is absolutely perfect anyway. I'm going to mention what I don't like about this concealer out of the way first so we can end on a high and say that the packaging is literally the worst concealer packaging I have come across. The wording rubs off the plastic tube incredibly easily and stains your hands too which can be incredibly annoying if you have other make up to apply. I've ended up with a black smear across my face when applying foundation at times. Not attractive in anyway. However, I do like the applicator it comes with. I find this is a lot more hygienic than putting in onto the back of your hand. It is impossible to apply to much or too little with this brush. You get just the right amount. The aim of the concealer is to cover up flaws, blemishes and other imperfections for up to sixteen hours. Now I'm going to have to be honest and say that I haven't ever worn make up for that long, but I have gone from early in the morning to quite late at night wearing this it hasn't really faded or moved at all. It covers up my dark circles underneath my eyes incredibly well. It also brightens them up and makes me look really wide awake. As someone who doesn't really get a lot of sleep this is absolutely perfect. Spots and other blemishes become practically invisible when this is applied. The coverage is absolutely incredible and it just doesn't look cakey at all despite how thick the consistency is. 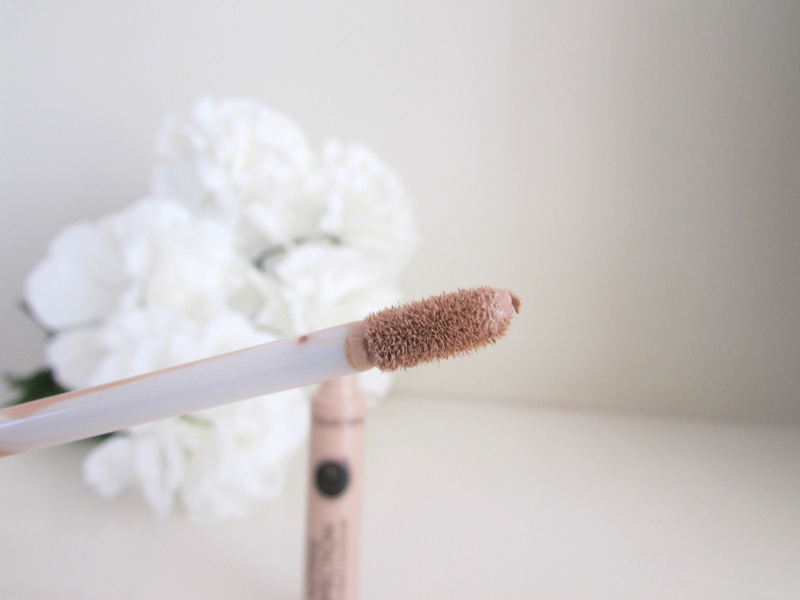 All in all I think this concealer definitely lives up to the expectations I had when I bought it and if you haven't tried it yet it is only priced at £4.19 from both Superdrug and Boots. Absolute bargain. What's your opinion of this concealer? Yay or Nay? Make sure to let me know in the comments below.